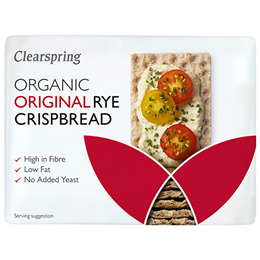 Clearspring`s delightfully crunchy organic rye crispbread is baked to a traditional Scandinavian recipe with just three simple ingredients: rye flour, sea salt and water. Below are reviews of Clearspring Organic Rye Crispbread - Original - 200g by bodykind customers. If you have tried this product we'd love to hear what you think so please leave a review.